Yesterday at the launch event in California, Apple has officially unveiled its next-generation smartwatch dubbed Apple Watch Series 4 with a larger display and thinner body compared to its predecessor Apple Watch Series 3 . Apple's new smartwatch seems to be stylish, functional, and includes a number of unique features that would make it stay ahead of its competitions. The new Apple Watch arrives in two display sizes of 40mm and 44mm which is over 30 percent larger ( previous model 38mm and 42mm) with curved corners and thinner bezels. 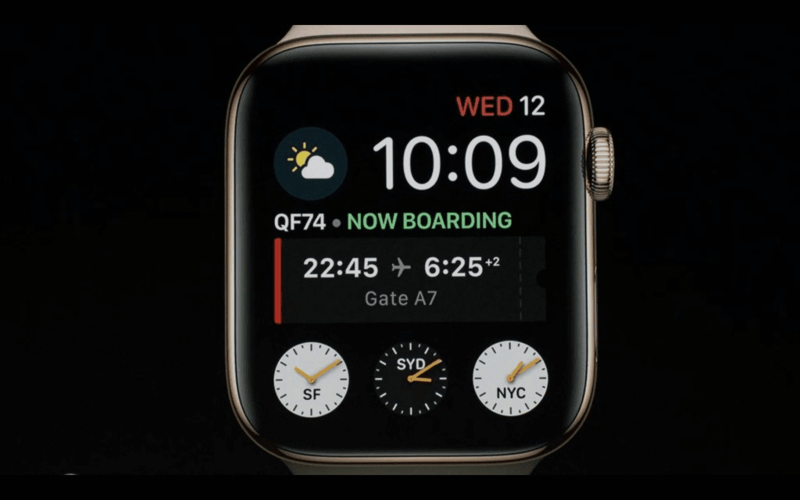 The company has also claimed that they have redesigned and re-engineered the Apple Watch Series 4 with existing to accommodate more features and to provide better aesthetics. 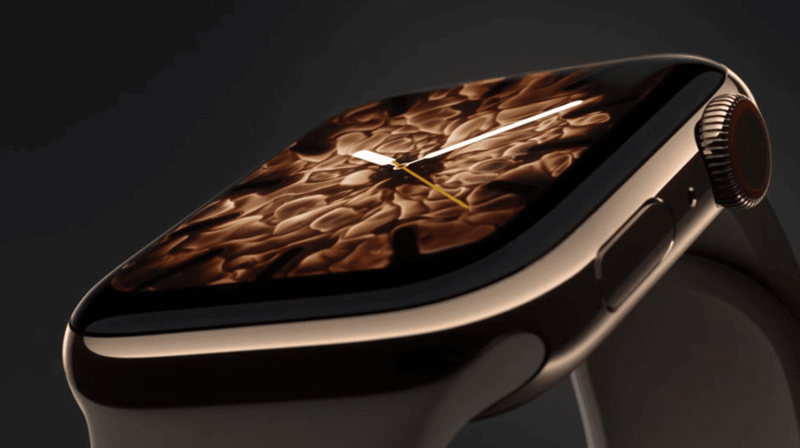 The new wearable device is powered by the next-generation S4 chipset with a custom 64-bit dual-core processor, which is claimed to deliver twice the speed (compared to Apple S3) while maintaining the same 18 hours of battery life. 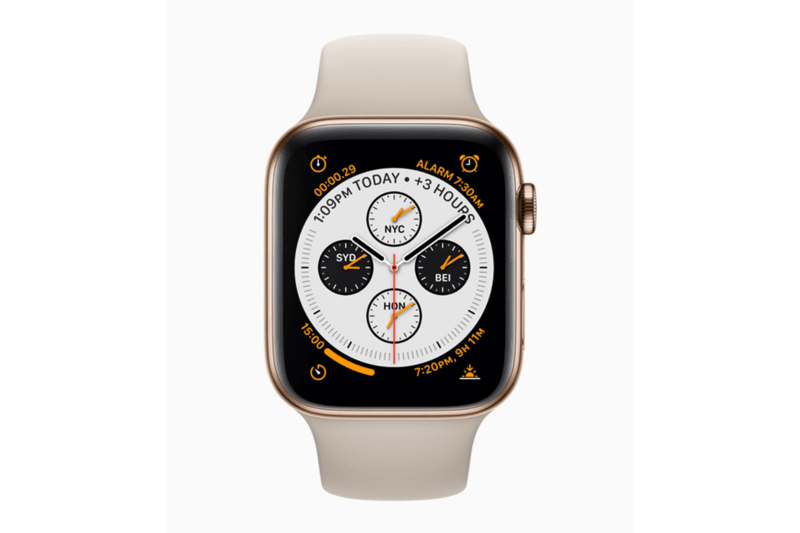 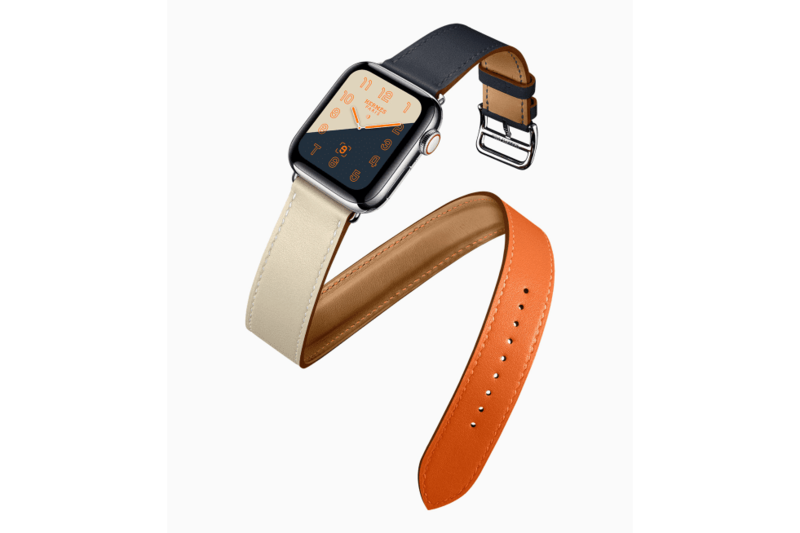 The new Apple Watch runs on watch OS 5 which offer advanced activity and communications features. As usual Apple Watch Series 4 also features an optical heart rate monitor which will keep track the pulse for 24/7 and allows it users to alert for unusual heart activity and, potential health issues. 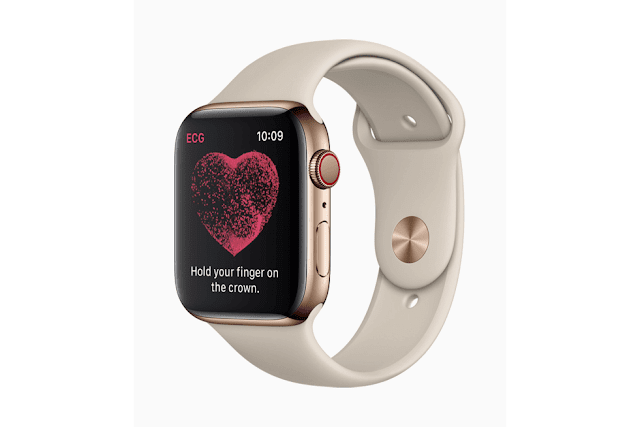 Further the Apple has also added a new ECG (electrocardiography) monitoring system on the Apple watch 4 that allows for more advanced heart rate-related features like, tracking heart rate rhythm irregularities, a proper ECG check up and could even store the details in the health app, which the user would be able to share with a doctor to findwhat’s going on. The ECG measurements are taken by putting finger for 30 seconds on the crown, which in turn is connected to the electrodes positioned on the back which enables it to monitor ECG. 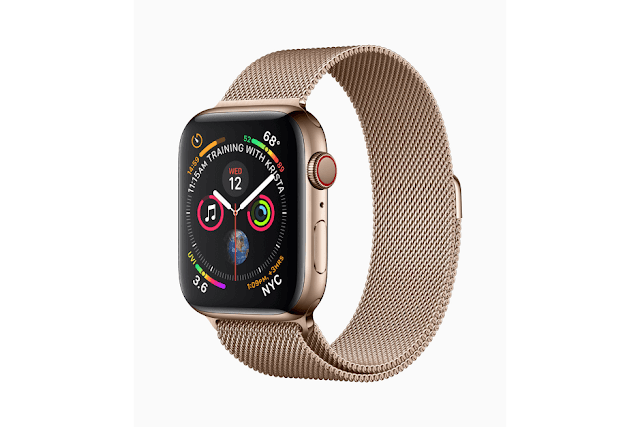 The new Apple Watch Series 4 is also equipped with next-generation sensors, that includes new gyroscope and accelerometer with superior accuracy. 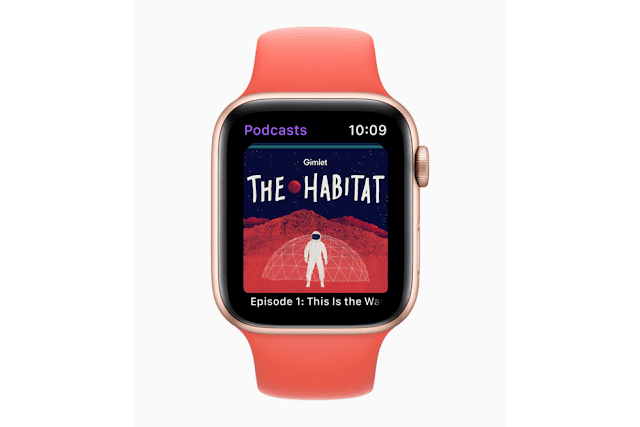 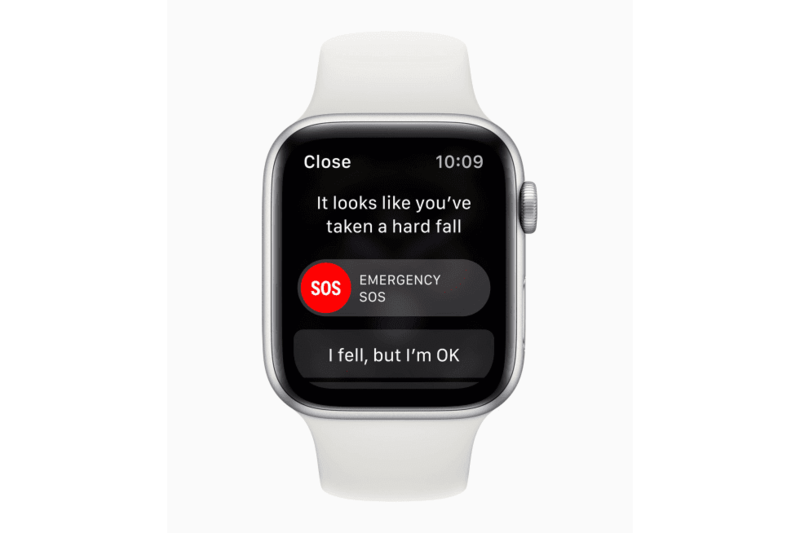 This allows the Series 4 Apple Watch to accurately detect unusual movement, such as slips or falls and there is also an option to call for help, if it detects that the user is immobile (remain motionless for more than 5 seconds), Siri will automatically call an emergency number. 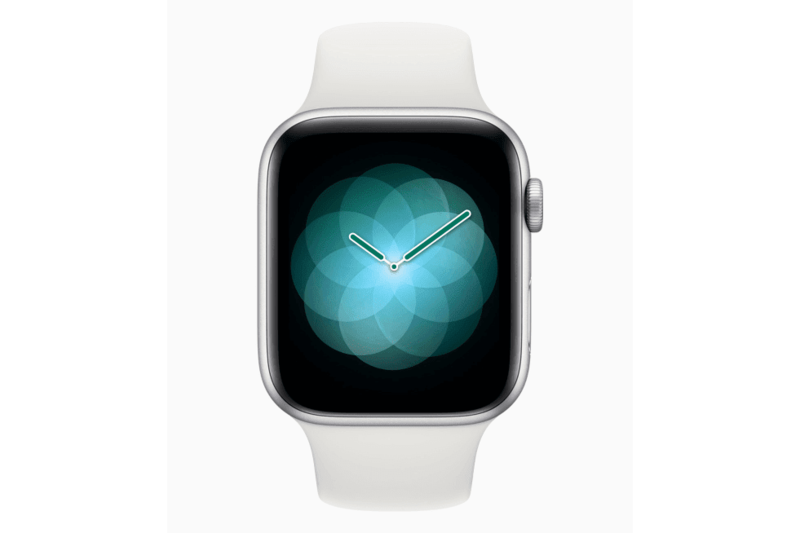 It is having a new speaker that is 50 percent louder and has been optimized for phone calls, Siri, and Walkie-Talkie. 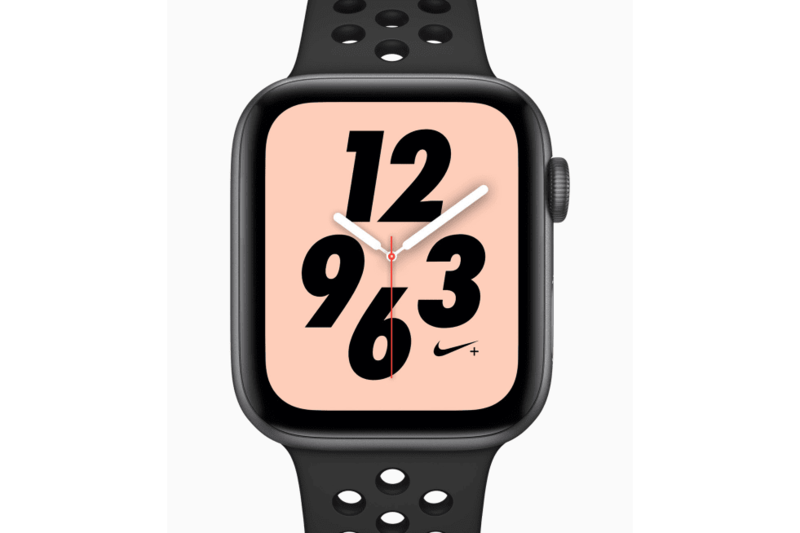 The microphone on the smartwatch has been relocated in order to reduce echo for better sound quality. 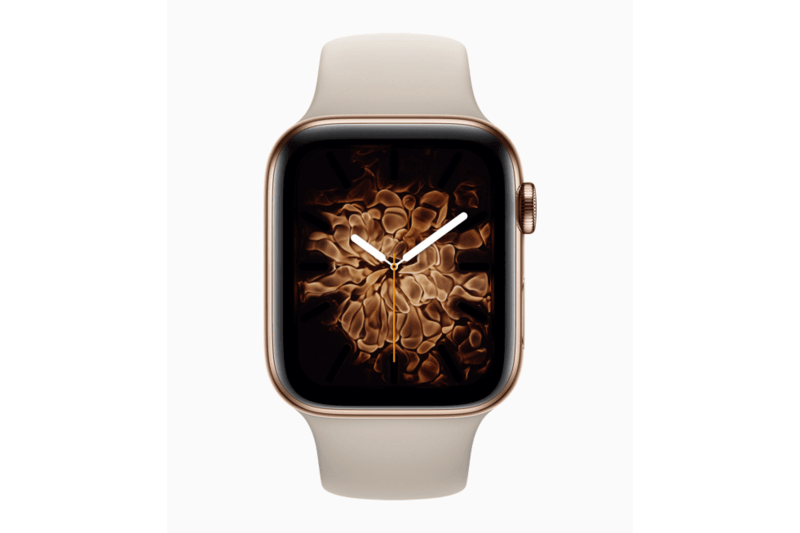 Apple Watch Series 4 is having Bluetooth 5.0 LE connectivity support that will help to preserve battery charge even further. 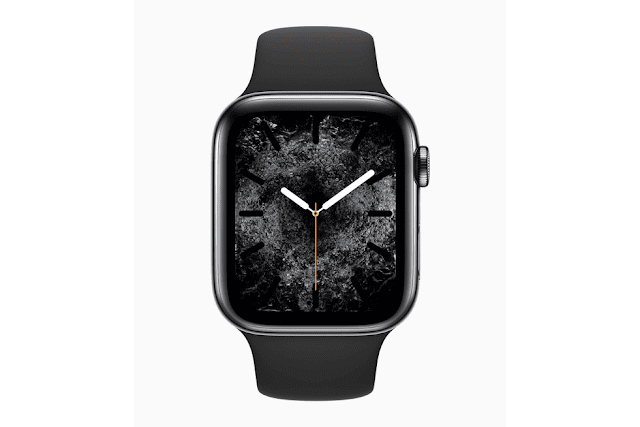 It will be available in three aluminum finishes like anodized in Silver, Gold, and Space Gray color, additionally there will be a Gold stainless steel with Milanese band, joining the Silver and Space Black stainless steel models. 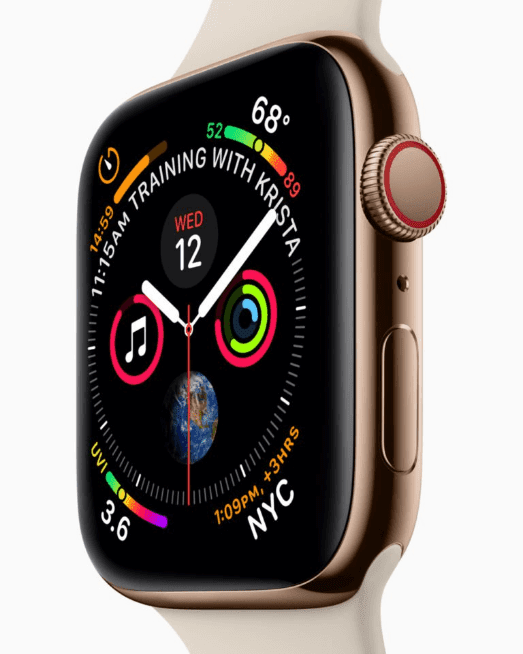 The Apple Watch Series 4 is having a starting price at $399 US dollar for GPS model while the GPS + Cellular version of the Watch Series 4 has a price tag of $499, both versions will be made available next Friday (September 21) with pre-orders starting this Friday, September 14.